Halloween is on its way! But before we head off to our respective celebratory locations on October 31st, there are 30 other days that demand our attention in South Lake Tahoe! With the fall shoulder season enveloping Lake Tahoe in a brilliant transition of weather, South Lake Tahoe prepares for the winter season with October events galore. Head out to Camp Richardson Saturday and Sunday, October 3rd and 4th for the 14 annual Oktoberfest, South Lake Tahoe’s brilliant festival celebrating the time honored tradition of Octoberfest in Europe. The event will be two full days of fun for the whole family, with plenty of activities, things to do, and things to see. 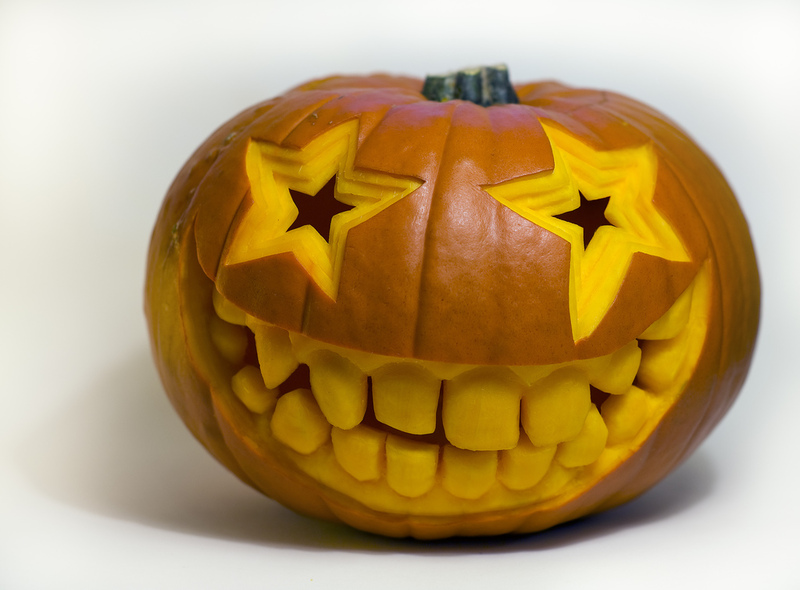 In addition to the Kokanee Salmon Festival (also free going on this weekend near Camp Richardson, kids can pick out a Halloween pumpkin at the pumpkin patch, or jump around in the Bouncy Castle, get their face painted, or a great number of other kid-geared activities during the festival. Parking and admission are both free. Blues rock star Kenny Wayne Shepherd will make his way up to Harrah’s this month, and it’s shaping up to be one heck of a night. True to his roots, Shepherd has been touring the country for some time now, performing to sold out theaters and venues all across the States. Don’t miss this one folks! Come witness a one of a kind action sports show! Nothing has ever been done quite like this on the in the Action sports world. Combining the creative expressions of top local and national artists, filmers, photographers and musicians. Lets Get Together Tour 2 guarantees to be the most memorable night of art, movies and music you’ll ever have! Featuring new snowboard films for Transworld productions “Get Real and Grow Up Productions “Might as Well”. 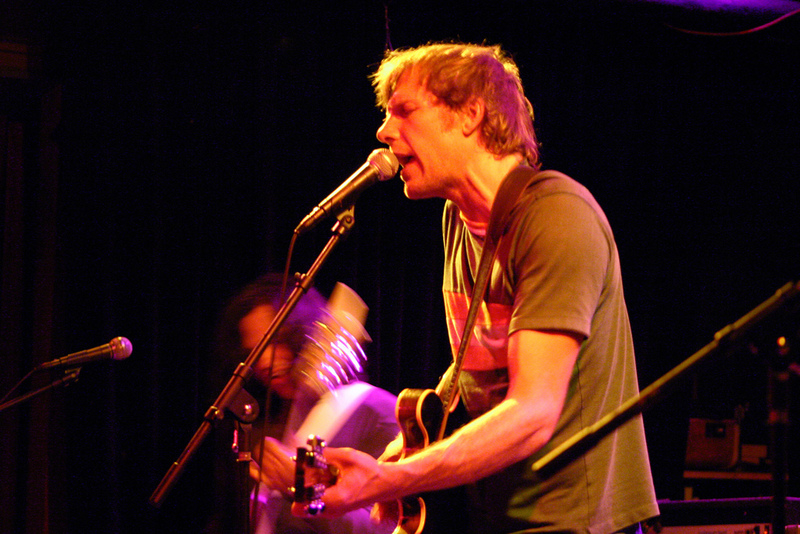 Live music sets from “The Mother Hips” and “Saturn Rising”. Fine art paintings and prints from Lib Tech and Volcom artist “Ryno”, Solomon Keen, and Ryan Kroney. Photography for Snowboarder magazines Ryan “Huggy” Hughes, Terren Gomez, and Tim Peare. Plus a huge raffle w/ thousands of dollars in prizes and giveaways form top companies like Salomon, Bonfire, Flow, Sessions, Monster Energy, and Transworld. All proceeds form the raffle are going to benefit Boarding For Breast Cancer. First 500 people to enter the show will get a early season lift ticket voucher to NORTHSTAR AT TAHOE. The event is All ages and tickets will be $15 advance and $20 the day of show. Tickets available at the MontBleu box office. Also at these fine locations, The Boardinghouse, Tahoe Hemp Co, Mad About Music, and Out of Bounds Board Shop. The Tahoe Art League is a nonprofit organization dedicated to promoting fine art and art education on the South Shore of Lake Tahoe since 1964. They provide free monthly art demonstrations for the public, art workshops, classes, summer outdoor shows, fine art exhibits, college scholarships and many other activities. For additional information about the 2009 Art Expo, check out the Tahoe Art League’s website for details on all events. The madman is back! 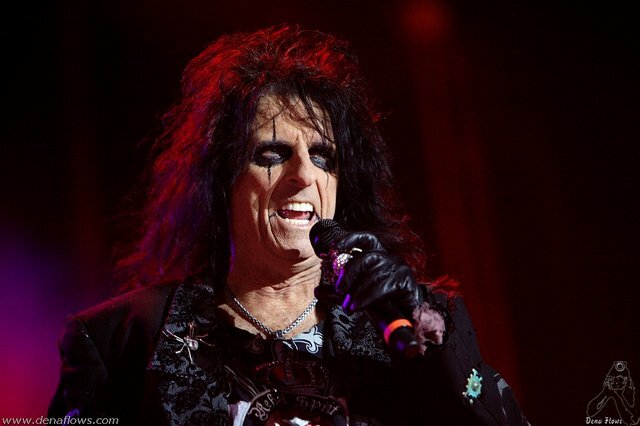 Pushing a 2009 U.S. tour to the limits, Alice Cooper – master of entertaining the masses – will be performing at Harrah’s this year during the 50th Anniversary South Shore Room Series. Ticket information can be found at Harrah’s website. Get down with your bad self Alice! When: October 9, 2009 @ 7p.m. Tahoe Arts Project, now in its 23rd season – is bringing to MontBleu the physical theater group Galumpha. The show looks to be an evening of exciting entertainment for the entire family. Combining stunning acrobatics, striking visual effects, physical comedy and inventive choreography, Galumpha brings to life a world of imagination, beauty, muscle and merriment. The three performers, Andy Horowitz, Kate Vollrath and Marlon Torres have created a sensory feast of images ranging from the ridiculous to the sublime, drawn together into a seamless whole, consistently bringing audiences to their feet. Galumpha is a triumphant mix of art and entertainment, offering world-class, award winning choreography. Tickets are $12 for adults and $5 for children and seniors and may be purchased in advance at the CA and NV Visitor Centers. To charge tickets by phone please call Tahoe Arts Project at 530 542-3632. Tickets will also be available at the door. Galumpha will be performing in our local schools October 5-9 as part of Tahoe Arts Project’s in school performing arts programs. For more information please call Tahoe Arts Project at 530 542-3632. 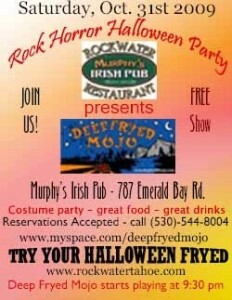 When: October 31, 2009 @ 9:30 p.m.
“Try your Halloween Fryed” at Murphy’s Irish Pub and Rockwater Restaurant for their Rock Horror Halloween Party on Saturday, October 31st, 2009. After blowing away Pints and Paddles’ guests aboard the Tahoe Queen on September 24th, Deep Fryed Mojo returns for a free, spooky sequel in South Lake Tahoe. This mesmerizing jam band will have even the purest of angels rendezvousing with devils on the dance floor, while the witches and wizards of Rockwater’s wait staff stew up some of the finest Irish grub and potions. Mojo goes on at 9:30 p.m. When: October 31, 2009 @ 9 p.m.
Did you know granite is the signature rock of not only South Lake Tahoe, but the planet Earth itself? 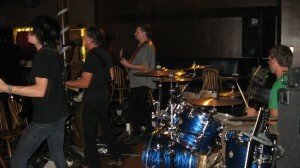 Much like its geological form, four-piece local ensemble, Granite, is the underground staple band of South Lake Tahoe. 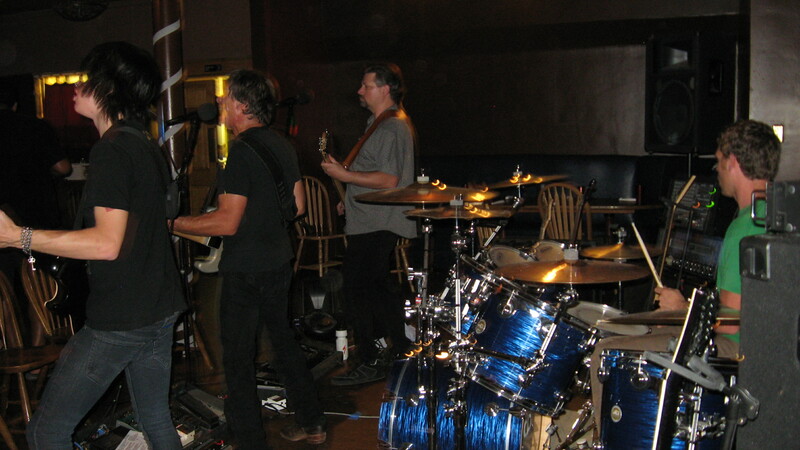 Bringing classic and hard rock beats to amorous listeners, crowds at Granite shows leave for home always wanting more. As requested, here’s your chance for another fix. On Saturday, October 31st, take a break from MontBleu’s Freaker’s Ball to witness 17-year-old electric guitar prodigy, Tyrell Lyons, as well as vocalist/guitarist Rich Lyons, vocalist/bassist Adam Salter, and tight drummer Ryan Bennett, at Mo’s Place, starting at 9 p.m.